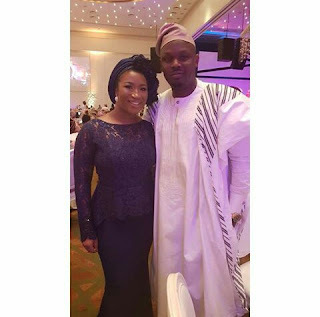 Nigerian music star, Dr Sid is back with his wife, Simi Esiri after their marriage got shook to its root last year which almost led to a divorce. A close family source revealed that things got pretty ugly between the two last year. The source added that Dr Sid really tried to make it work but Simi already had her mind made up’. ‘Sid even made sure to attend the Nickolodeon festival so he could spend time with his daugther but Simi was giving him the cold shoulder all through’. Thankfully they have started working on their marriage and even made their first public appearance together, since their split, at a recent viral wedding.